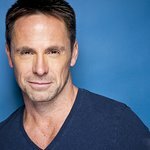 The Sandy Rollman Ovarian Cancer Foundation (SROCF) has announced that William deVry will join them as their official celebrity ambassador. As ambassador, deVry will broaden public awareness about the organization’s mission and increase the support and visibility of ovarian cancer. Participating in two fundraisers with the Foundation, deVry had the opportunity to learn about the organization’s mission and the passion for the cause. Most recently, he has called on his massive social media following to support SROCF’s work. deVry will now become more involved in the Foundation and its efforts as a formal ambassador. To learn more about the Sandy Rollman Ovarian Cancer Foundation and how you can get involved, please click here.